10 mins How many drilling sites are left in the Permian? Who Gains The Most From The New Silk Road? Vladimir Putin, Recep Tayyip Erdogan and Hassan Rouhani will hold a summit this Wednesday in Sochi to discuss Syria. Russia, Turkey and Iran are the three power players at the Astana negotiations – where multiple cease-fires, as hard to implement as they are, at least evolve, slowly but surely, towards the ultimate target – a political settlement. A stable Syria is crucial to all parties involved in Eurasia integration. As Asia Times reported, China has made it clear that a pacified Syria will eventually become a hub of the New Silk Roads, known as the Belt and Road Initiative (BRI) – building on the previous business bonanza of legions of small traders commuting between Yiwu and the Levant. Away from intractable war and peace issues, it’s even more enlightening to observe how Turkey, Iran and Russia are playing their overlapping versions of Eurasia economic integration and/or BRI-related business. Much has to do with the energy/transportation connectivity between railway networks – and, further on the down the road, high-speed rail – and what I have described, since the early 2000s, as Pipelineistan. The Baku-Tblisi-Ceyhan (BTC) pipeline, a deal brokered in person in Baku by the late Dr Zbigniew “Grand Chessboard” Brzezinski, was a major energy/geopolitical coup by the Clinton administration, laying out an umbilical steel cord between Azerbaijan, Georgia and Turkey. Now comes the Baku-Tblisi-Kars (BTK) railway – inaugurated with great fanfare by Erdogan alongside Azerbaijani President Ilham Aliyev and Georgian Prime Minister Giorgi Kvirikashvili, but also crucially Kazakh Prime Minister Bakhytzhan Sagintayev and Uzbek Prime Minister Abdulla Aripov. After all, this is about the integration of the Caucasus with Central Asia. Erdogan actually went further: BTK is “an important chain in the New Silk Road, which aims to connect Asia, Africa, and Europe.” The new transportation corridor is configured as an important Eurasian hub linking not only the Caucasus with Central Asia but also, in the Big Picture, the EU with Western China. BTK is just the beginning, considering the long-term strategy of Chinese-built high-speed rail from Xinjiang across Central Asia all the way to Iran, Turkey, and of course, the dream destination: the EU. Erdogan can clearly see how Turkey is strategically positioned to profit from it. Of course, BTK is not a panacea. Other connectivity points between Iran and Turkey will spring up, and other key BRI interconnectors will pick up speed in the next few years, such as the Eurasian Land Bridge across the revamped Trans-Siberian and an icy version of the Maritime Silk Road: the Northern Sea Route across the Arctic. 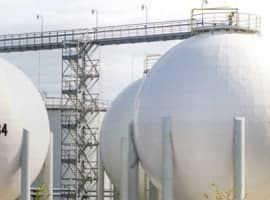 What’s particularly interesting in the BTK case is the Pipelineistan interconnection with the Trans-Anatolian Gas Pipeline (TANAP), bringing natural gas from the massive Azeri gas field Shah Deniz-2 to Turkey and eventually the EU. It’s no wonder BTK has been met with ecstatic reception across Turkey – or, should we say, what used to be known as Asia Minor. It does spell out, graphically, Ankara’s pivoting to the East (as in increasing trade with China) as well as a new step in the extremely complex strategic interdependence between Ankara and Moscow; the Central Asian “stans”, after all, fall into Russia’s historical sphere of influence. Now compare the BTK coup with one of Pipelineistan’s trademark cliff-hanging soap operas; the IPI (Iran-Pakistan-India), previously dubbed “the peace pipeline”. IPI originally was supposed to link southeastern Iran with northern India across Balochistan, via the Pakistani port of Gwadar (now a key hub of the China-Pakistan Economic Corridor, CPEC). The Bush and Obama administrations did everything to prevent IPI from ever being built, betting instead on the rival TAPI (Turkmenistan-Afghanistan-Pakistan-India) – which would actually traverse a war zone east of Herat, Afghanistan. TAPI might eventually be built – even with the Taliban being denied their cut (that was exactly the contention 20 years ago with the first Clinton administration: transit rights). Lately, Russia stepped up its game, with Gazprom seducing India into becoming a partner in TAPI’s construction. But then came the recent announcement by Russian Energy Minister Aleksandr Novak: Moscow and Tehran will sign a memorandum of understanding to build a 1,200km gas pipeline from Iran to India; call it II. And Gazprom, in parallel, will invest in unexplored Iranian gas fields along the route. 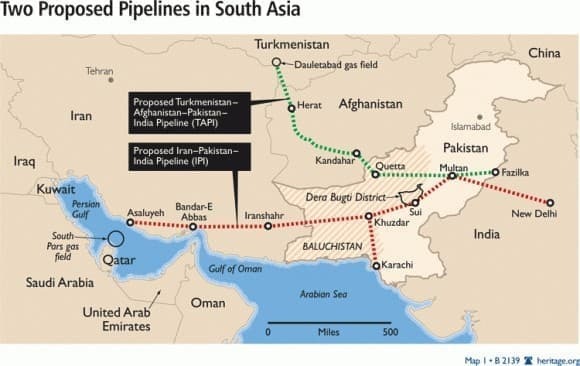 Apart from the fact of a major win for Gazprom – expanding its reach towards South Asia – the clincher is the project won’t be the original IPI (actually IP), where Iran already built the stretch up to the border and offered help for Islamabad to build its own stretch; a move that would be plagued by US sanctions. The Gazprom project will be an underwater pipeline from the Persian Gulf to the Indian Ocean. From New Delhi’s point of view, this is the ultimate win-win. TAPI remains a nightmarish proposition, and India needs all the gas it can get, fast. Assuming the new Trump administration “Indo-Pacific” rhetoric holds, New Delhi is confident it won’t be slapped with sanctions because it’s doing business with both Iran and Russia. And then there was another key development coming out of Putin’s recent visit to Tehran: the idea – straight out of BRI – of building a rail link between St. Petersburg (on the Baltic) and Chabahar port close to the Persian Gulf. 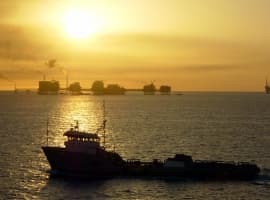 Chabahar happens to be the key hub of India’s answer to BRI: a maritime trade link to Afghanistan and Central Asia bypassing Pakistan, and connected to the North-South Transport Corridor (INSTC), of which Iran, India and Russia are key members alongside Caucasus and Central Asian nations. You don’t need a weatherman to see which way the wind blows across Eurasia; integration, all the way. 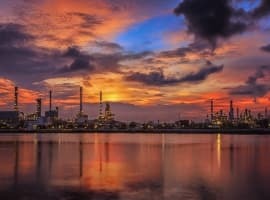 Is Trouble Brewing In The Permian? The Chinese silk road will do to the EU, what the Mexicans and Chinese did to the factories in the United States' Midwest - shut many of the down. Especially since they are rapidly closing any technological gap with the West through forced technology transfer. Europeans might get cheaper goods in the short term, but longer term, many will have insufficient income to afford to purchase them. And Europe in economic trouble won't stay peaceful for long. I think it might not a big threat to the EU if it weren't so divided. Thanks to Trump and Putin the EU has a good reason to be more protectionistic than ever. We're going to see the instability caused by the decline of power of Russia (and its allies) and the OPEC countries and the rise of China. Trump is too stupid to cope with China and if it weren't for California his country would be next after Russia and OPEC. The EU also can follow if we Eurotrolls don't stop being so stupidly divided. So we would be able to overcome our differences and form a strong block against China. The EU has the potential to be the only power block that can withstand the power of China. India? Nah. They'll be completely surrounded by China in a few years. Russia? Nah. Bankrupt, because they are corrupt idiots. USA? Depends on California. EU? Depends on who is leading the pack. Bulgaria will lead it the upcoming 6 months and thus can fix a lot for the Chinese. After them only anti-Chinese countries will lead the EU.